REDINGTON SHORES, Fla. - The Appalachian League today released its 2018 schedule, with Opening Day set for June 19, 2018 for all ten teams in the Advanced Rookie league. The 2017 Appalachian League champion Elizabethton Twins will open the 2018 season at home against the Burlington Royals. Bluefield, Danville, Greeneville, and Kingsport also begin their 2018 campaigns at home. After the opening three-game series, Bristol, Burlington, Johnson City, Princeton, and Pulaski will host their home openers on Friday, June 22. The 2018 schedule includes an additional off day, with four league-wide off days on June 27, July 17, July 30, and August 15. There will also be an off day prior to the first day of league playoffs, which begin on August 31. The regular season concludes on August 29. 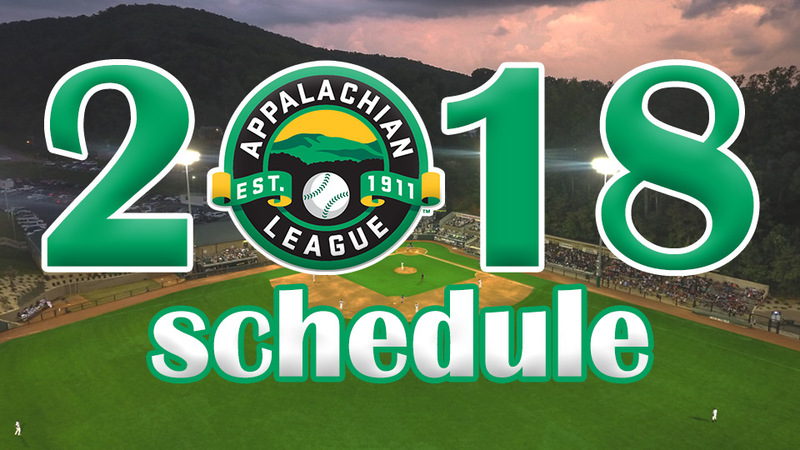 To view the complete Appalachian League schedule, click here.